Come along with an ex spy as she returns to Shanghai where she’s a wanted woman – but she has to search for her baby and her lost lover. Is her baby really alive? Will she be able to find her lover? Can she elude the police long enough to find them? 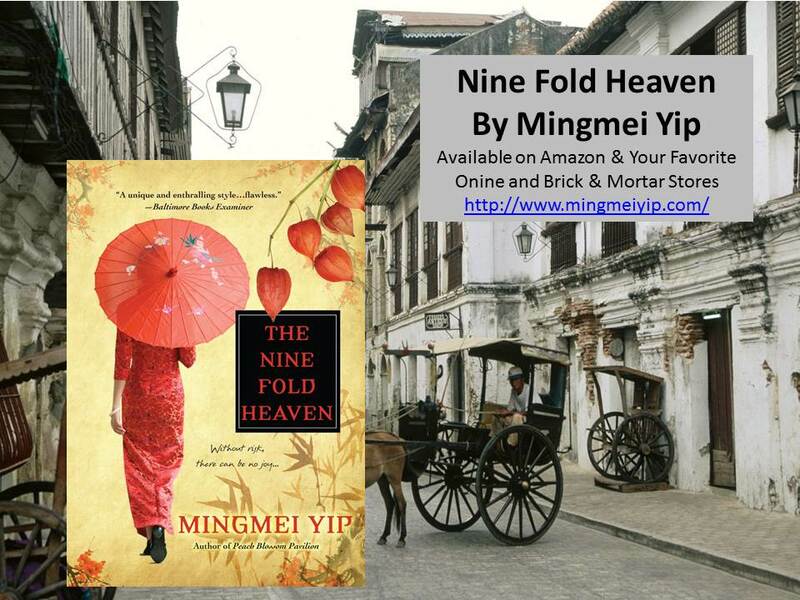 Learn much more about Nine Fold Heaven and Mingmei Yip at http://www.mingmeiyip.com and get your copy of this exciting and exotic novel at http://www.amazon.com/The-Nine-Fold-Heaven-Mingmei/dp/0758273541/.